Like last week’s lesson, this one starts out by educating parents. You’re the ones who are going to get the impromptu questions, so it’s in your best interest to be as prepared as possible. Heaven is real. What will it be like? We really don’t know for sure, but it will definitely be the place where we experience the love of God to the fullest extent, for all eternity. Yes, please! Hell is also real. We know it’s so because Jesus told us. If you think God is too nice to send anyone to hell, you’re kind of on the right track. God has created us for heaven and never, ever wants anyone to be in hell. Nonetheless, if someone willfully turns from God through mortal sin and persists in that position until the end of his life, God will honor that choice. The Church has never definitively declared any particular person to be there, but it’s certainly possible. Purgatory is that blessed gift most of us will experience! If you love God but are painfully aware of your failings, take a minute right now to thank Him for the gift of purgatory. Those who are there are part of an interesting tension – definitely destined for heaven, but also definitely not there yet. It would be a disservice to characterize purgatory as a place where we get “cleaned up” for heaven’s standards; saints have described their visions of it as a place of fire and suffering. But still, knowing that heaven is on the horizon makes it a place of great hope. By all means, we strive for heaven, but just in case, purgatory is an awesome example of God’s unending mercy! The lesson for this week is simply a continuation of what happened to the Marcus family in last week’s lesson. As often happens after the death of a loved one, poor Emily is still troubled about it. Her wise parents arrange a routine family activity that teaches these principles of heaven, hell and purgatory in a way she can understand. Again, we recommend you pre-read the story to give it the “seal of approval” for your own kids, but we’re confident you’ll like it. 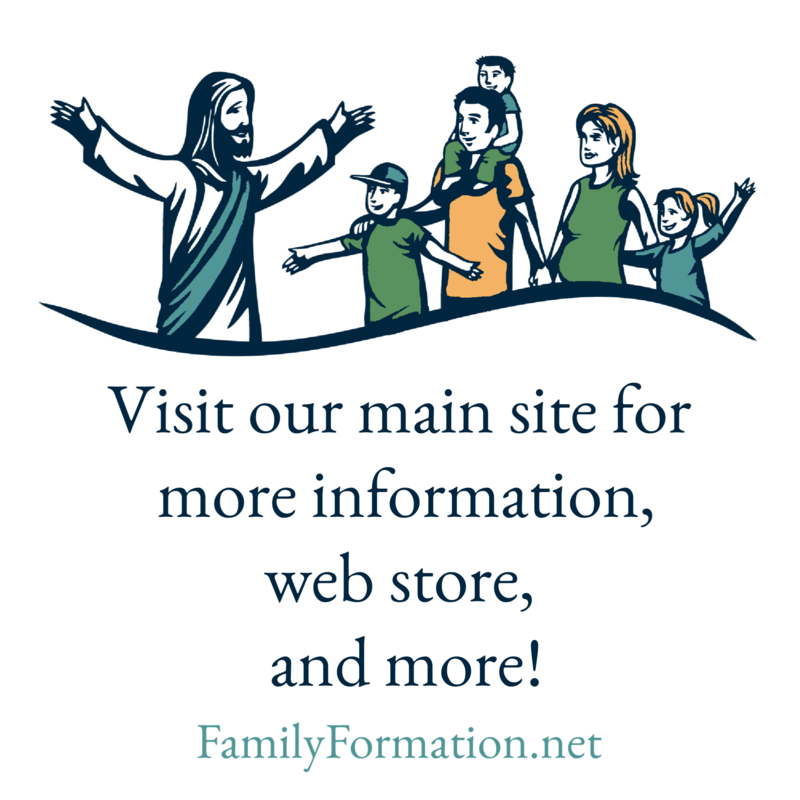 The Marcus Family Talks About Heaven, Hell, and Purgatory is vague enough to not be scary, while still handling some important truths of the Faith. Yes, of course! More than anything, Jesus wants you to be in heaven with him someday. He’s completed His part of the deal, but you have to do yours by cooperating with His graces and loving Him as best you can during your life. Learning about how you can do that is a fantastic start! Previous Have you seen our new website? Next Try it and see!